A tactical litigator with a special talent for settling cases, Andrew has successfully resolved hundreds of cases since he began his family law practice in 2004. Andrew has handled all types of family law matters, including pre-nuptial agreements, post-nuptial agreements, paternity cases, child support litigation, custody and visitation cases, spousal support (alimony) litigation, and complex property division matters. Andrew has participated in hundreds of contested hearings and is no stranger to the Courtroom. He has appeared in cases all over San Diego and Riverside Counties, including Vista, Chula Vista, El Cajon, and Downtown courthouses. 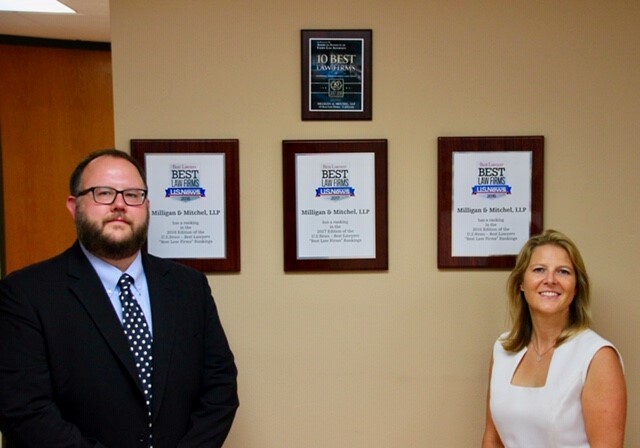 Andrew uses his knowledge of Judges and other attorneys to help his clients achieve the best results with as little wasted expense as possible. Prior to founding Milligan & Mitchel, LLP, Andrew worked for Goldberg Jones LLP as the firm’s Certified Family Law Specialist. He left the firm in 2014 to build a new practice where he could focus more on each individual client. Although he enjoys litigating cases in the Courtroom, he has come to realize that the best result for his clients is often to negotiate a fair settlement early in the case. He prides himself on knowing that he has helped guide his clients to make the right choices and to protect their rights.